You can stay connected for free by using WiFi UAE, a network that enables people to get internet access in public areas. The WiFi UAE is available and can be used by people owning WiFi-capable devices, within the WiFi UAE hotspots. Below is a map of locations where residents and tourists can use WiFi UAE in Dubai. It is also available in other emirates. Click here for a detailed map. 1. First and foremost, the user should select the '@WiFi UAE' network on their device. 2. Second, on getting prompted, they will have to enter the mobile number that is in use in the UAE. 'WiFi UAE' should be selected from the options available. 3. Next, the registration form is to be filled in. 4. After the registration process, the user will receive a PIN via SMS on their UAE mobile number. 5. The PIN is to be entered in the WiFi UAE webpage. 6. The user will be connected to WiFi UAE once the registration is done. A timer will also appear to show the amount of time that the user has spent online. 1. The free WiFi is 512 Kbps. 2. 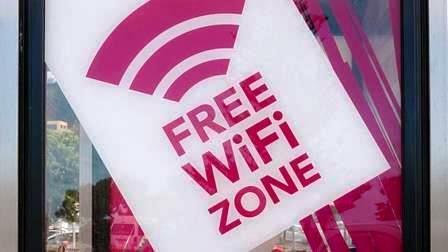 The user will be able to use the free WiFi at only limited speeds. 3. The high speed access will be available to all the government sites and government mobile apps. 4. The user will get the opportunity to try the 'Premium Wifi UAE' when they first log into the complimentary WiFiUAEsession. This trial can be enjoyed only 'once' every 24 hours. 5. There is absolutely no data or time limit to the usage.